The use of hashtags began back in 2007 when Twitter used them to categorize topics and make it easy for people to discuss. Fast forward a decade, and they are now used on Instagram and Facebook as well, for a variety of reasons. They can be highly useful, but they can also be overused and abused. People began putting endless strings of hashtags in their captions and lengthy posts, many times with irrelevant words and phrases. They hoped to simply get more people to their page and hopefully gain a following. For this reason, hashtags started to get a bad name. However, hashtags, when used correctly, are still very useful and effective for businesses. Using hashtags in your tweets can greatly increase your engagement rate when integrated correctly. Research has shown that tweets with hashtags get twice the engagement than those without. However, you have to be careful about how many you are going to include. The same study showed that tweets with 1 or 2 hashtags have a 21% higher engagement rate than those with 3 or more. In fact, when using more than 2, the engagement rate actually drops 17%. So rather than stuffing your tweet with a long list of irrelevant hashtags, choose 1 or 2 that will best attract the audience that you want to reach. If you’re struggling with words or phrases to use for your hashtag, try using the trending bar to see if there are any that may be relevant to your own tweets. You can also use generic, popular hashtags such as #Mondaymotivation or #FridayFeeling (but only if they are relevant to you, of course!). Including hashtags in your Instagram captions is one of the best ways to get your posts seen. It greatly improves your reach by allowing your posts to be pulled into topic-specific feeds. On Instagram, the reigns are loosened a bit, but studies still suggest you keep your hashtag count below 10. 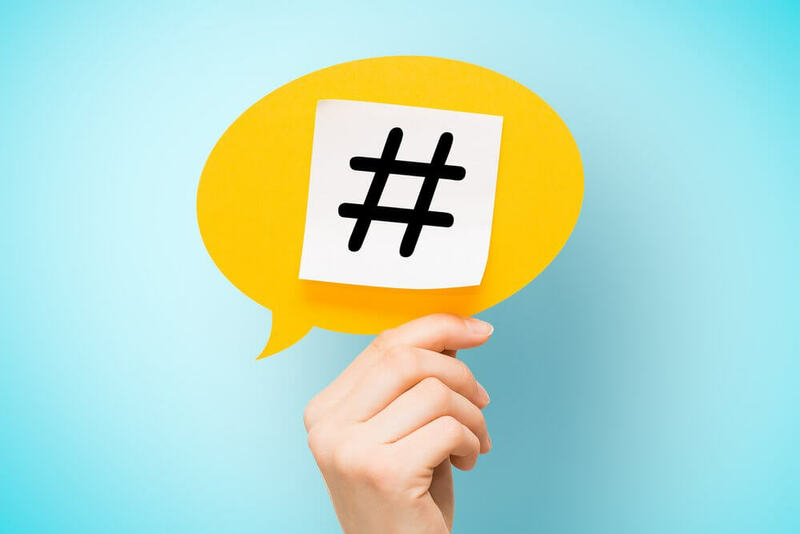 Depending on the audience you are trying to reach, a general rule of thumb is to include approximately five relevant hashtags. One thing to be careful of is not using the same words or phrases in your hashtags on all posts, as you could be putting yourself at visibility risk or shadowban. Instagram views this is spammy or inappropriate behavior and could potentially make it nearly impossible for your posts to be seen. So again, use a few hashtags that are specific and relevant to that post only. While many people use hashtags on Facebook, studies have shown that they actually do not affect engagement. If you do choose to use them, limit it to one or two. The more you use, it will actually have negative effects on your engagement. For more helpful hints and social media advice, contact the social media specialists at Boston Web Marketing! Our team of experts will be happy to work with you and determine a strategy that will best suit your company.